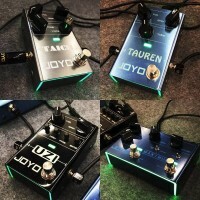 JOYO D-SEED is a very flexible delay pedal, with build-in TAP Tempo function, which can be independently operated at any moment to change the delay time with ease. The DSEED Delay has dual channels (presets); each can separately save its own chosen delay time, as well as other relevant parameters, so you have different delay effects to use with your playing when needed. The maximum delay time of D-SEED is 6 seconds (under TAP TEMPO mode) meeting the requirement of most players. 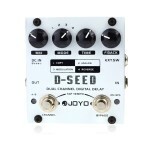 Four different types of delay effects of D-SEED: Restores your instrument's original sounds without any polishment. 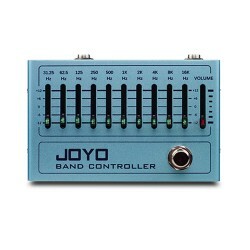 Provides you a warm imitate delay tones like earlier BBD delay pedals and it enables delay time to 6 seconds by aiding with digital technology. A delay tone with modulation and it is characterized by broad and rich sense of space, especially when playing clean tones. A very interesting effect and it reverses the delayed phase to create a very psychedelic feeling. 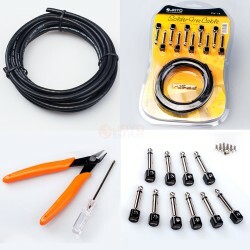 COPY: Restores your instrument's original sounds without any polishment. ANALOG: Provides you a warm delay tones like earlier BBD delay pedals and it enables delay time to 6 seconds by aiding with digital technology. MODULATION: A delay tone with modulation, and it is characterized by broad and rich sense of space, especially when playing clean tones. REVERSE: A very interesting effect and it reverses the delayed phase to create a very psychedelic trippy effect. TAP-TEMPO function. Just press the "TAP-TEMPO" button freely to set the delay time you want. If under "TAP-TEMPO" mode, the delay time is automatically extended to the maximum 6000ms. 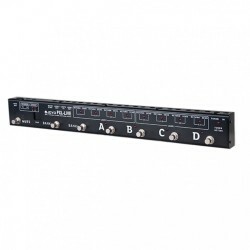 With dual-channel design, the parameters of each channel can be set and saved independently. The parameters are saved automatically. 4 selectable delay modes: COPY, ANALOG, REVERSE, MODULATION. Has an external trigger input, which allows external devices to switch the channel of D-SEED through this interface. Here is a Short Demo of one of our favourite pedals from Henning.. then below that, see what Shane in Australia thinks too. 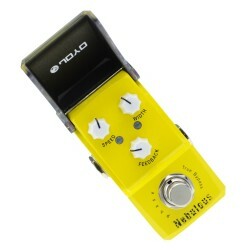 I bougth this baby as a backup digital delay but after playing a couples of hours it take place on my mine pedalboard. 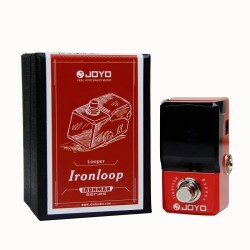 Great sounding pedal, nice features and usefull options. The dual channel is the best for on stage gigs. 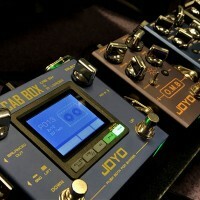 The JOYO PXL-Live, the newest member of the JOYO PXL series programmable pedals controllers - pxl4,p.. 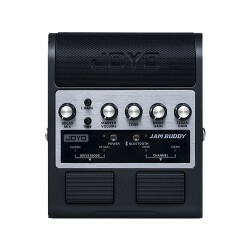 The JamBuddy is a full portable floor based dual channel guitar amplifier that can be switched with ..